People across Japan have been urged to take precautions against a heatwave that has killed about 30 people. 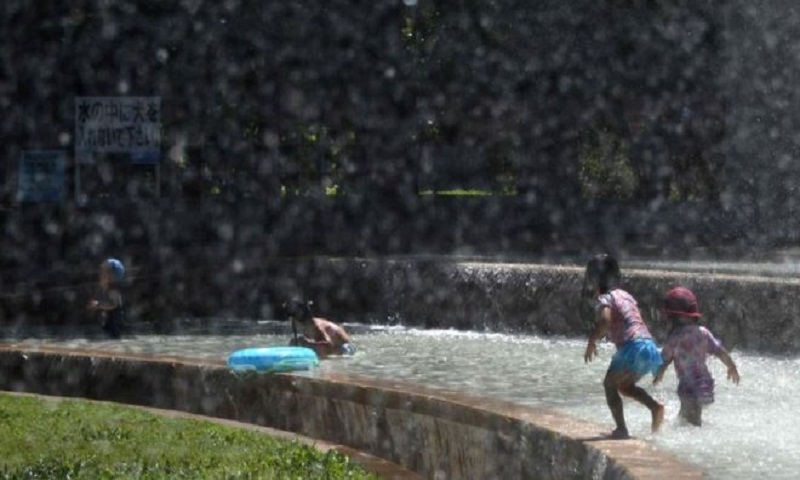 Thousands more have sought hospital treatment for heat-related conditions over the past two weeks. Temperatures reached 40.7C (105F) in central Japan earlier this week, a five-year nationwide peak. The Japanese education ministry told schools to take thorough measures to prevent heat stroke after a six-year-old boy died following an outdoor class in Aichi Prefecture on Tuesday. Japan's meteorological agency urged people to drink sufficient water to prevent heat exhaustion. The temperatures are also complicating flood recovery efforts in western Japan, as many volunteers struggle with the heat. More than 200 people were killed in the floods and mudslides triggered by record rainfall earlier this month.